Imagine a huge patch of green grass in a peaceful and beautiful part of the city. The Downs, as its known by the locals, is the perfect spot to enjoy an al-fresco lunch. While the kids run around and play games, you can lay back and soak up the rays. 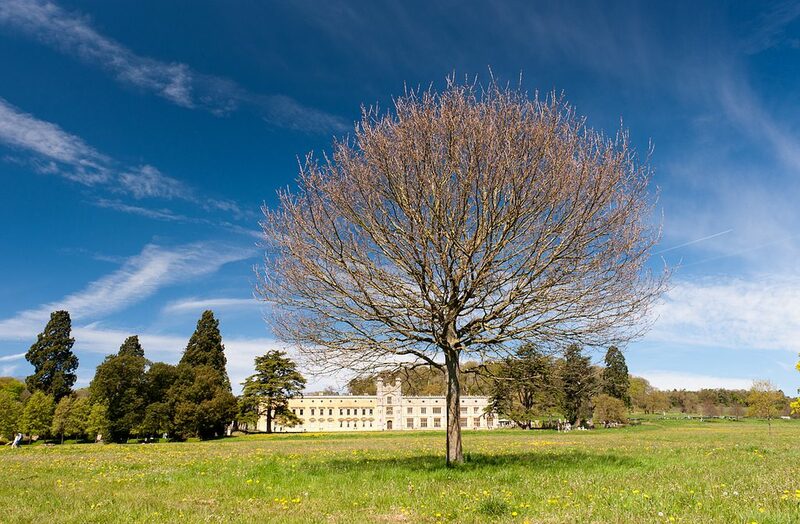 Whether you want to enjoy a bike ride, walk around the grounds or simply sit on the grass, Ashton Court has it all. There’s even a deer park! Want to pick up a coffee to enjoy with your lunch? There’s an on-site café with fresh sandwiches and drinks available. If you’re planning on heading down on a Sunday, make sure you stop at the nearby market at the back of North Street’s Tobacco Factory bar. Here, you’ll find lots of different food from local delis and restaurants that set up stalls here, each one being perfect for your picnic basket. Walk halfway up the famous Park Street (clocking the Banksy mural as you past, of course!) and you’ll find Brandon Hill, the oldest park in the city. Popular amongst the locals, head there with a BBQ or packed lunch. Or why not grab some supplies from the amazing Pinkman’s bakery which is just up the road? With unrivalled views from Cabot Tower, this is a must-visit picnic destination. 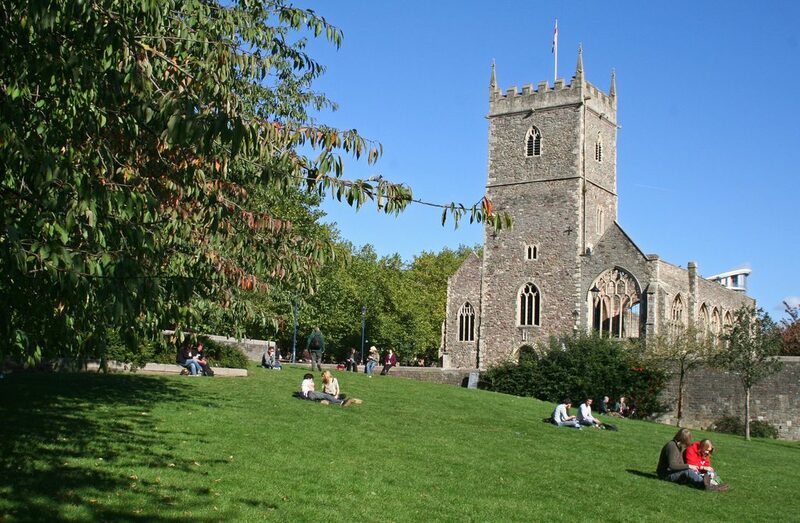 After a long day of shopping in one of Bristol’s central shopping locations, Castle Park is the place to head to to enjoy your lunch. There’s also an amazing café located in the centre, Edna’s Café, which serves up arguably the best falafal in town! Also right in the centre of the city, Queen Square is a stunning Georgian square, perfect for a picnic with family or friends. Come here on a Saturday and you may find groups of teens playing frisbee or doing some impressive tricks with a diablo, families chilling out and kids playing in the sun. 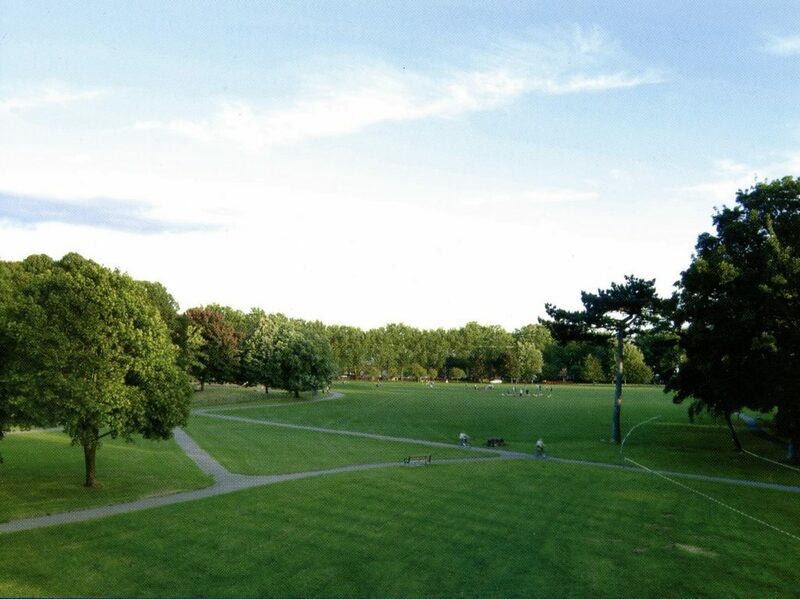 It’s even more handy that this park is conveniently located close to the centre, meaning your spoilt for choice when it comes to stocking up on goods for your picnic. At the very end of North Street in Bedminster lies Greville Smyth, a huge, green park where people come to walk their dogs, play in the children’s play park, practise sports and simply sit out. We recommend you stop by Southville Deli on the way to grab some delicious salads, sandwiches and cakes to enjoy.